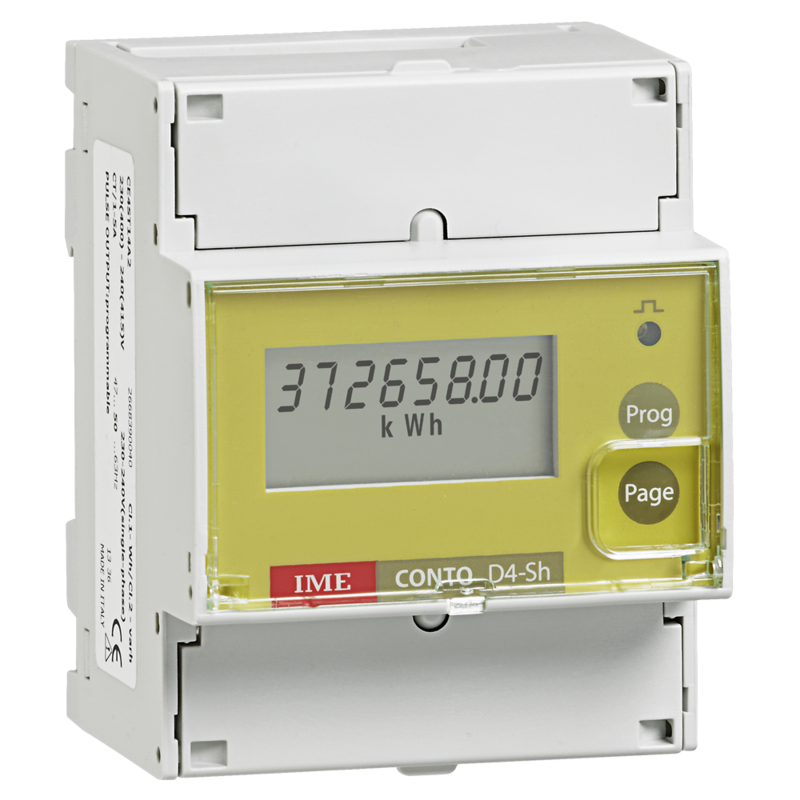 The IME Conto D4-Sh range of Class 1, Single Phase / Three Phase Multi-Function Meter. The IME Conto D4-Sh is a 70mm (4 module) DIN Rail mounted energy meter with both a pulse output or Modbus RS485 communications. -/1A, -/5A or 333mV(per phase) current transformer input, on a 230/415V 50/60Hz system.